Amazingly older, highly educated men pose the highest risk of being scammed. This article focuses on two ‘popular’ financial scams – investment scams and the promise of early access to super. It explains who they target, how they work and what your readers should do to protect themselves. The statistics show that even with growing public attention, scam losses are increasing at an astonishing rate! If you are over 50, male, highly educated, financially literate and manage your own super, beware. You’re at a higher risk of being the target (and victim) of organised investment fraud. This isn’t necessarily because your demographic is particularly gullible. Rather, it’s because you’re more likely to control higher levels of wealth, perhaps as the trustee of a self-managed super fund (SMSF); you’re accustomed to making financial decisions; and you’re actively looking for attractive investment opportunities. What scammer wouldn’t want to target you? 2. schemes offering early access to superannuation. Either way, the result can be a major financial loss and dreams destroyed. Scams and the numbers of those falling victim to them are increasing. This article explains what to do if targeted and explains another threat – follow-up scams. Even well-informed people are getting caught so it’s a very good reminder to share with your readers. This article lists various types of scams, describes the characteristics of investment scams and how to avoid becoming a victim. This topic should be covered at least once every year as scammers are getting smarter and Australians are consistently losing millions of dollars. We’ve all seen media reports about ordinary Australians losing their entire savings after responding to a phone, email or mail offer that was impossible to resist. While some people may be naïve, scammers are also getting smarter. Financial stings have become a serious threat to Australian consumers and businesses. According to the ACCC’s Scamwatch website, there were ........... reports of scam in 2017, for a total loss of more than $.... million! An important reminder about how prolific fraud is these days, particularly over the internet. It includes government website services that can assist in keeping your readers safe. 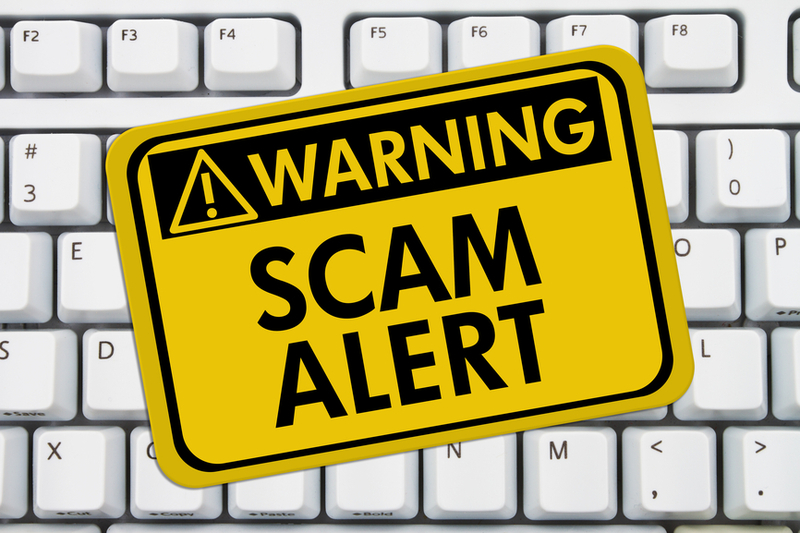 This article should be repeated in your newsletter every year to keep these scammers at bay. Since the earliest days of commerce there have always been people prepared to commit fraud against others. With easy access to millions of people via the internet, modern fraud has increased the opportunities for the bad guys and heightened the risk for the innocent. We are all interested in making a better return on our investments but who can we really trust?